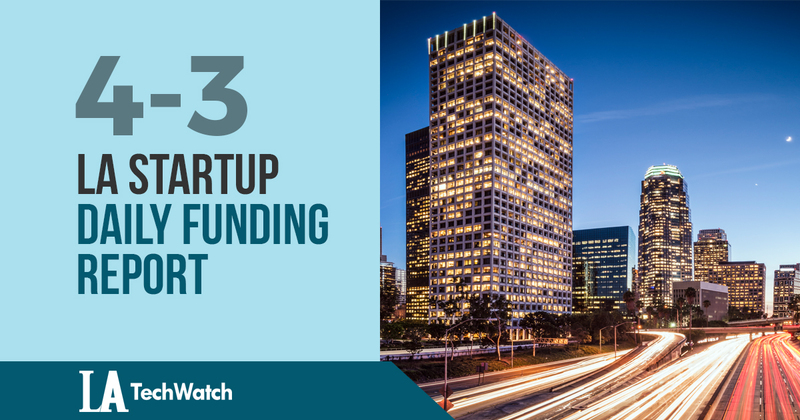 Here are the latest venture capital, seed, and angel deals for LA startups for 4/3/18. This page will be updated throughout the day to reflect any new fundings. INLT, the tech-enabled customs brokerage platform, has raised $1M in seed funding from investors that include Jonathan Levine, Caro Krissman, Michael Kaplan Jr. , Doug Sumi, Bennett Dorrance Family Office , Evan Meyer, and Dusan Miletich. PolyCera, the membrane used for various treatments of water and environmental applications, has raised $1.8M in funding in a combination of equity and debt according to a recent SEC filing. The filing lists Tom Flynn and Stephen P. Rothman as Executives and Eric M.V. Hoek, Steve T. Kirby, and Richard M. Wolfen as Directors. Sonix.io, the company that uses inaudible ultrasonic sounds for communication between devices, has raised $1.972M in funding according to a recent SEC filing. The filing lists Edward S. Lang and Bahram Nour Omid as Directors.